In previous blogs I have advocated blog writing as tool for improving your writing, whatever your genre or subject. Here I want to champion short story writing. Also the reading of short stories. I think too often short stories are dismissed as less important than full length novels, somehow frivolous or not worthy of our attention. 1) They’re fun. I mean it, they are. In the writing group you get the word and a week to produce the goods (OK sometimes I get behind, but never mind), generally for me it turns out to be about 1500 words, I don’t know why. After some wracking of brain cells I get the first inkling of an idea and then run with it. For a writer that’s great. Enthusiasm for writing any story is usually greatest at the beginning. This way you get to feel that energy more often. I find it then stimulates my other writing. 2) Having written a short story for the writing group I get quick feedback, what works, what doesn’t. If I’ve tried to make it humorous, do they laugh? Simply, did they enjoy it? As authors we get few opportunities to get such immediate feedback on our work. 3) It is an opportunity to try out ideas, writing styles, even different genres to see if they work. You can’t do this with a novel, you’ve too much invested in it to be completely experimental. I’ve read science fiction short stories by a number of authors including Asimov and Alistair Reynolds and I’m sure that’s, partly at least, what they were doing. 4) Take time out from reading novels to try short stories. It is a great way to sample different ideas and styles, learn and get inspiration. In the ‘Inspiration’ section of my site I list Robert Silverberg’s ‘Science fiction 101’ in which he reviews some classic short sci-fi short stories, explaining why he thinks they are so good. For anyone writing the genre I would recommend having a look at these. Then pick out other writers shorts, don’t pass them by as somehow inferior . 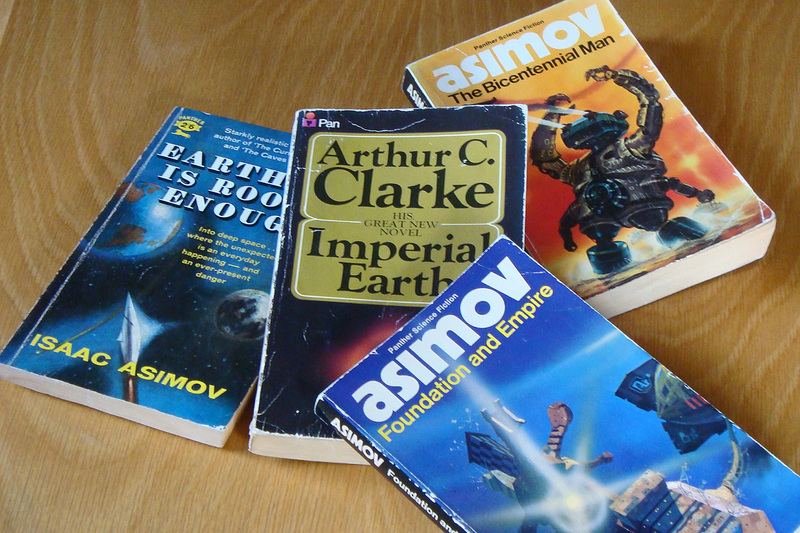 Also check out some of the magazines, I subscribe to ‘Asimov’ and there are others. 5) I said above that this year I intend to enter some of my short stories in competitions. I also intend to submit more to magazines. If successful, as an e-publisher they are a way of getting my name out there. Even if not successful, it makes me think hard about polishing a piece for publication and with a short story that’s good practice for when I’m revising my novels. So that’s five reasons why I think writing (and reading) the humble, often overlooked short story is such a good idea. Which makes me realise that I now need to go away and work up a few more for this site. Perhaps you’ll read them and make a comment. If you have short stories on your site, let me know. I’ll try to have a look and comment in return. What a great post, Ian. Very inspiring. I have thought maybe collections of my backlog of short stories would interest people. But your post mainly reminds me exactly of how the start is the most exciting and weekly short story writing is a mighty way to keep that (addictive) feeling and inspiration alive and well. I’ve seen several articles lately that say the short story is already coming back, because of attention span and people just being too busy to read longer works. For people who have a half hour or similar commute, many seem to prefer something they can read in one sitting, and short stories fit the bill. Over on the Business Rusch, a couple of people actually requested more short stories, as that’s how they prefer to read (and try out new authors). I can’t remember the other sites, but it was at least three different sites including the above. There’s a site called Wattpad that people have been using to start a funnel and as a promotion, too. 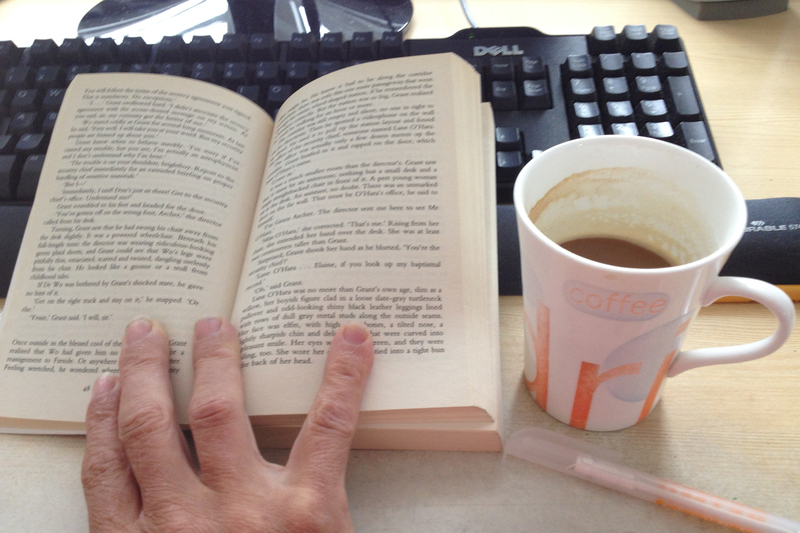 You post short stories/serials for free, and can link out to your site/other work in some way. It seems to be fairly popular, with writers and readers. I believe someone said Ursula Le Guin was an early adopter and has spoken about the benefits of that sort of thing. Thanks – I’ll have a look. Thee are a few on my site as well. Previous Previous post: How far can we go in ‘greening’ our cities of the future?